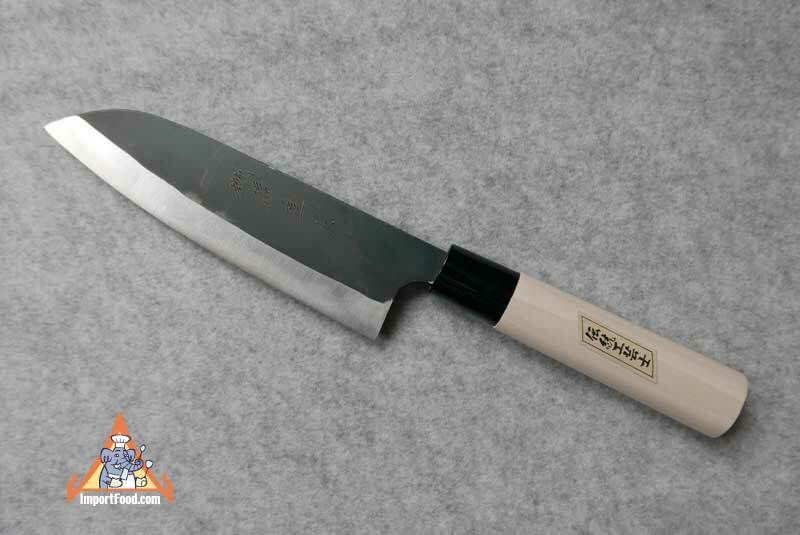 Hand Crafted Santoku Knife, Magnolia Handle, Japan, 14.5"
The knife is made of hard carbon steel, sharpened on both sides. The handle is Japanese 'magnolia' wood but it's basically a light, fast-growing poplar grown in Japan. The blade is 8.5" long, and handle is 6" long. Total length 14.5". Made in Japan.